Some of the TV shows that have entertained me (in one way or another) over the years and have made their way into my home collection. Two 'deep cover' Soviet agents living and operating in late 80's America. The story shows their espionage actions (with both the supporting KGB network and the US counterintelligence forces) but also looks into the conflicts of 'living with the enemy' affecting their (unknowing) children and personal relationship. There's some conventional thriller action but most of the focus is on trust, loyalty and the pressure of living a double life. I've seen the first two seasons. Nordic Noir from Sweden - a team of detectives investigating a series of murders with increasing political pressure to wrap up the case. A wonderful 'mixed bag' of characters with a plausibly complex series of clues and plotline developments. Great stuff! I've only seen the first season. One of the best sci-fi series on TV, a sprawling epic involving multiple alien races, galactic diplomacy and the future of life as we know it. A rare example of aliens being shown as appreciably different with their own cultures, traits, religion and philosophies rather than just angry humans with lumpy foreheads. There are spaceships & battles but most of the story is told on a personal level and there's a real sense of character development throughout. 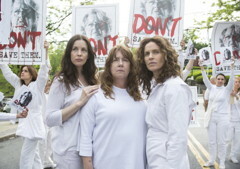 The first four seasons tell the main story and are well worth it, in season five the quality of writing drops appreciably and it's best avoided. Quintessentially British comedy from the 1980's. A small mystery arrives at the front door of one of the protagonists and from there things spread and unravel in all sorts of unexpected directions. The plot keeps things moving along briskly but it's the characters that are the main focus, their quirks & foibles are lovingly laid out and their (often hilariously laconic) interactions give them a real depth & solidity. The writing is marvellous and the acting matches it. There were two sequels - The Beiderbecke Tapes and The Beiderbecke Connection - but although they were both pretty good neither matched the original series. It used to be said (often by me) that American sit-coms were usually based around nice people with quirky flaws while British ones had monsters with redeeming features, from Steptoe & Hancock to David Brent. 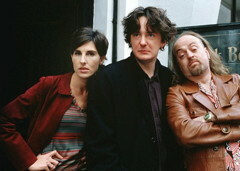 Black Books puts three deeply wounded individuals into their own little universe where they attack & fight each other but also find ways to make sense of the insane world around them. The contrast between bitter & twisted and childlike (in each of the characters) make them both sympathetic & horrible, a fascinating insight into some of the darker corners of the human experience. Things went a bit off the boil in the later series' but they're all watchable. A series of short, unrelated dramas looking at the possible social impact of future technology. Some pertinent and sometimes uncomfortable questions are raised in ways that give pause for thought rather than presenting potted answers. Nice to see speculative fiction that manages to be non-apocalyptic. Both seasons are well worth watching. A fictionalised retelling of the Prohibition-era 'boss' of Atlantic City, Enoch Johnson. 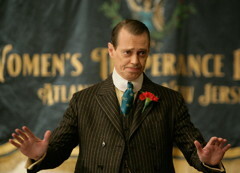 Wonderful period recreation and great ensemble performances, especially from Steve Buscemi as the central character. Ethical dilemmas, the corruption of power and the contrast between public persona and secret actions during the rise of organised crime in the USA. An Episcopalian priest in upstate New York going through a sort of minor midlife crisis starts seeing a conventional-looking Jesus who offers some less conventional commentary on the situation. A sweet little series that drifts into soap opera light comedy and melodrama at times but still has some insights into the challenges of living to a moral code in the real world. A great example of Joss Whedon taking a ridiculous sounding concept and making it entertaining, witty & more meaningful than you'd imagine. As the teenage Buffy fights off all manner of monsters the series poses serious questions about identity, friendship, family, destiny and the challenge of balancing our uniqueness with being part of something larger. The series glories in its trashiness, doesn't take itself too seriously, lets its characters be teenagers coping with bigger problems within their usual issues, and remains gloriously positive despite everything. All seven seasons are great. Watch them all. A wonderfully evocative recreation of Dustbowl America in the 1930's with a dramatic story arc that emerges (very slowly) over the two seasons before it was cancelled. Based around a travelling carnival there's 'real' and illusory magic, Good v Evil on many levels, countless mythical references and a literal freakshow of characters. The plot gets over-convoluted at times and it's clear that there was more to come but the show has a wonderful, slightly eerie atmosphere. The two seasons should really be viewed together to give a satisfactory conclusion. A series of (mostly) unconnected comic films, a lot of them haven't aged very well but there are still some gems in there. My favourites include the Five Go Mad... episodes, Gino, Eddie Monsoon, The Bullshitters, Mr Jolly, Detectives on the Edge of a Nervous Breakdown and Gregory but there are moments of hilarity in lots of the others too. Great ensemble comedy with a new couple and their respective ex-'s and best friends getting tangled about gender, relationships and modern life in general. The strong, interesting characters are beautifully played and the writing is superb - not just the dialogue but the inventive use of revisiting scenes from different viewpoints. The fourth series is weaker than the first three but still has its moments. Sci-fi drama of the near future with 'brainwashing' technology being used & abused by a secret organisation. Like so many of Joss Whedon's post-Buffy projects it was cancelled before it could get going but the two seasons that were produced are excellent with his usual sharp & witty dialogue and multi-faceted characters. The episodes have their own stories but the overall arc is wonderfully done with new aspects of the characters & plot coming to light as the series progresses. Season two is rushed (& the budget has obviously been cut) with the revelations coming a bit too hurriedly but it does provide a sort of conclusion. The end is over-tidy but you can't have everything. Not a promising beginning - a TV series based on a successful film - but Fargo manages to rise above this slender premise and develop its own identity and world. A marvellously intricate web of characters & situations that build to a thrilling & satisfying conclusion. Excellent stuff! Season two is a sort of 'prequel' to season one but it makes more sense to view them in order. I've only seen the first two. Cowboys in space - what could go wrong? Surprisingly little, with Joss Whedon's best ensemble writing making sense of what could have been a ludicrous premise. An odd collection of characters, each with their secrets & hidden motives, come together and start to form a family (in the broadest sense) during troubled times. The sense of strong individuals facing the gradual loss of their world forms a poignant backdrop to the successes of the plotlines, especially as the 'bad' Alliance is obviously working well (or at least efficiently) for the more conventional majority. 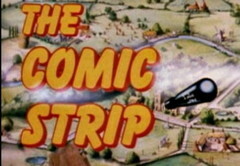 Sadly the series was cancelled after one series, just as things were starting to develop. 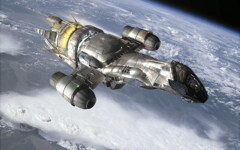 The film Serenity provides a sort of completion but it lacks the subtlety & ethical questioning of the TV show. A short series about a sharp, witty young woman who slowly crumbles as we discover more about her & her current situation. Quite challenging at first - she is charming but not actually a very nice person - but stick with it and the downward spiral turns to redemption and the first steps towards rebuilding a new life. Great performances throughout and a brilliantly funny script - the humour is very black but also very funny. 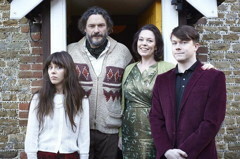 A (very) dysfunctional family go through a series of crises & problems - yes, it's a comedy. Surreal & bizarre at times, there's a constant sense of harsh reality closing in on the closeted & isolated characters that gives it a sharp edge. Great to see eccentric people finding suitably eccentric solutions to the problems of life, and a resolution that is optimistic while remaining believable. A British take on Nordic Noir with strange happenings in a small Arctic town. The plotlines are over-complicated at times and rely on some random and implausible coincidences but maybe that's the point? A bit bleak at times and slow to develop but still a good watch. A Cold War spy thriller set in a convincingly recreated 1970's London. It manages to be complex enough to be believable but clear enough to follow (fairly) easily, although the question of who can be trusted is always in the air. In fact the sense of ambiguity & uncertainty hangs over everything, none of the characters are either fully likeable or clearly evil. Interesting how creepy this period seems from a 21st century perspective, not just the espionage itself but the class & gender politics. 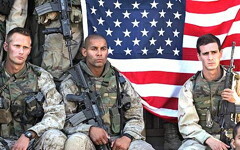 A recreation of the 2003 invasion of Iraq from the perspective of a group of US Marines, based on the writings of an 'embedded' reporter. A compelling insight into the realities of war which neither glamourises or condemns the troops on the front line, instead looking at how they deal with being in such an extreme situation. As with The Wire (it's produced by the same team) there's a sense of (mostly) decent people caught up in a dysfunctional system. The book has more background information but lacks the immediacy of the TV series. 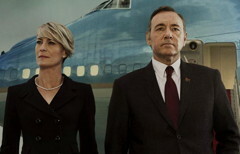 A ruthless politician & his wife work their way up the pyramid of power within the US government. A sharper reworking of the dated (& slightly campy) British original the picture of a charming but amoral (anti)hero is made more seductive by his directly talking to camera to reveal his thinking and draw you in to his machinations. The first two seasons are great but the third is not up to the same level, characters (especially the main two) seem to change their behaviour & motivation to suit the plot and are far less believable. Series four brought the quality back up. How's this for a new take on the zombie genre - a (sort of) cure is found and the recovering undead are reintroduced into society. There are some cute jokes about society carrying on after the apocalypse fizzes out (like government-issued makeup to cover pallid skin & inhuman eyes) but it touches on deeper issues - dealing with the reintegration of 'offenders', coping with the sins in our own past, the balance between reasonable caution and xenophobia. An 'alternative history' series set in 19th century England where 'practical magic' is being revived as part of the modern age. A beautifully presented costume drama where the desire to be respectable is pitted against the primal wildness of the emerging magical powers. The two lead actors are excellent as the competing magicians and the special effects don't overpower the plot. Loads of fun. I preferred this version to the book, which was a bit meandering & unfocussed for me. An unusual and compelling take on the post-apocalyptic genre - 2% of the world's population suddenly vanish with no explanation, leaving the remaining people to try to make sense of what has happened. A fascinating & sometimes emotionally harrowing look at a world where beliefs, faith & purpose are drastically challenged and people are left without answers to their (often unconscious) existential questions about self, family & community. It sounds stark & bleak (and it can be) but the humanity (and lack of it) that emerges is powerfully moving. Both the first two series are well worth it - I haven't seen the third. On the surface it's a (very) modern-day crime caper story about computer security, hacking & corporate control but the real focus (for me) is on identity, isolation, social connection (friends, family, workplace) and motivation. None of the characters are wholly likeable but all are understandable and (generally) can be empathised with, which is quite an achievement. 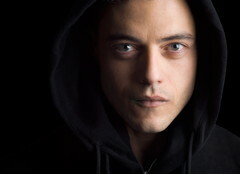 Nice to see some realistic portrayal of hacking but you don't need to be super-nerdy to understand it. Both the first two seasons are well worth it - I haven't seen the third. 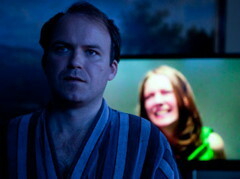 In the second season the wider fallout from events in the first are shown, which is a nice (and unusual) touch. The rise of Pablo Escobar and the Colombian cocaine trade told in parallel with the US intervention against it - the narcotics agents of the title. At one level it's a conventional cops v criminals story but the scale and breadth of the knock-on effects on the wider society are shocking - it's like an updated Prohibition history. Nicely believable characters throughout. Apparently there are several historical inaccuracies so it should be seen as drama rather than recreation but even on that level it works very well. I've only seen season one. Marvellous Gothic drama in the style of The League Of Extraordinary Gentlemen - a collection of literary characters come together with a common purpose and their 'super powers' are explored from a more modern perspective. I really enjoyed the way the original Victorian feel of the books was maintained, both in characterisation and plotlines, rather than descending into 'X Men in frock coats'. Wonderful melodrama. Both seasons 1 & 2 are excellent, each having an overall story arc that resolves at the end along with several ongoing storylines that interweave around it. Season 3 brought the series to a conclusion pretty well. A sci-fi comedy with the bleakest of settings - the last man alive, trapped on a giant spaceship lost in the vastness of space. But the risk of existential angst is (mostly) kept at bay by Lister's determined focus on the trivial & mundane, dealing with life as he finds it, especially if there's a curry involved. A great collection of flawed characters, clever ideas and sharp writing. The first six seasons are the best, things go a bit off the boil in series seven & eight and I haven't seen the (much) later episodes. Ostensibly a police drama this series expands into a complex, interwoven collection of stories tied together by the excellently written & superbly acted characters, each of which slowly reveal their strengths, weaknesses & flaws. A bewildering mystery is slowly pieced together with a cobweb of connections & causes coming to light as more & more is revealed. I particularly liked the way there wasn't just one big reveal at the end, the resolutions of the sub-plots were just as important as the main plotline. One of my favourite ever TV series, an ensemble comedy about a (very) eccentric group of people who end up sharing a house together. Surreal & mundane, the series celebrates the characters' oddities & quirks and (to my eyes) declares that it's better to be strange & interesting than conventional & safe. The filming style is equally unconventional & creative and packs an unending stream of references & allusions throughout each episode. Only two seasons were produced and they slot together to form a whole - watch both of them! A standard journalism yarn where an investigative reporter finds the story he's working on leads to deeper & darker secrets, but raised above the ordinary by the excellent writing & characterisation. There are twists & turns as the plot goes off in unexpected directions but it all feels credible & realistic. Another strong ensemble piece where even the minor characters are well-rounded and their interactions are as important as the obvious plot points. High-level diplomacy between the UK and the USA as international tensions rise - is there something shady going on behind the scenes? All too often this sort of political thriller descends into action hero silliness but this keeps things (mostly) believable, and all the more chilling for it. 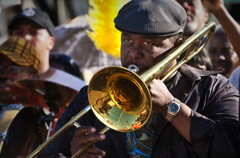 Life in post-Katrina New Orleans, with an emphasis on the musical & performance aspects of the city. It has the same wide, multi-threaded format as The Wire (it's produced by the same team) and has a similar sense of people doing their best in the face of tragedy and a dysfunctional system but doesn't quite have the impact & immediacy. Still well worth watching though, especially for its wealth of musical performances. All four seasons are good and plotlines & character development continue across them. An 'odd couple' of mismatched detectives are assigned to a ritualised murder case in Louisiana. As the story develops it becomes more about the two men, their histories, characters & interactions than the investigation, although things do come together for a satisfying resolution by the end. The acting is superb, the filming is exceptional and the slow pace allows things to develop gradually & progressively. This refers to season one, following seasons will be self-contained stories with new characters rather than continuations of this one. A dark conspiracy drama where a group of graphic novel fans find themselves on the wrong side of a powerful & secretive organisation with a mysterious & sinister agenda. A scarily believable story of just how terrifying it would be to face a truly ruthless secret society with a plausible reason for existing. Rich & sumptuous filming contrasts with the often harsh storyline and the (mercifully rare) scenes of chilling violence. A study of extremes without resorting to caricatures. Season one has a self-contained story, season two develops it and takes it forward but leaves things open for season three which was sadly cancelled. An American version of The Thick Of It which transports the political infighting to the office of the Vice President of the USA. Less shouty than the British version (and arguably all the better for it) it keeps the premise of an assortment of horribly flawed (or perfectly adapted?) and self-centred characters forced to work together but always on the lookout for ways to climb the ladder of success, usually at the expense of their colleagues. A rare example of an American comedy where everyone is a monster but somehow still human. 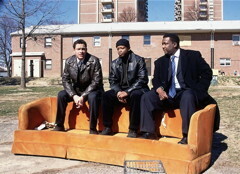 Possibly the best TV drama ever produced, a deep & detailed look at the city of Baltimore and the problems within it. There's an enormous number of characters & situations but they are presented in a way that makes it easy to keep track of them and to sympathise with the people caught up in the various systems. 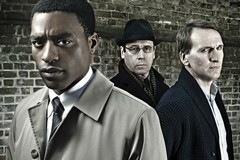 Social commentary without preachiness, the failings (& similarities) of the worlds of the police, docklands, schools, political systems and newspapers are explored in each of the five seasons (with lots of overlap between them) while never losing the human scale & perspective. Marvellous stuff. 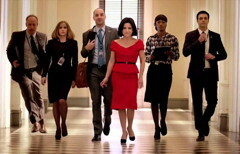 All five seasons are excellent, and should be viewed in sequence. Breaking Bad was a great series but it wasn't something I thought I'd watch again. The portrayal of an ordinary man falling into serious crime and finding a new, proud identity there was fascinating and his slow transformation into a true monster had the feel of a classical tragedy but it was a bit too depressing for a repeat viewing. The Event started off really well, parallel storylines with lots of flashbacks and a gradually revealed huge but credible conspiracy. Sadly it all started to fall apart about halfway through the season and ended up a mess of contrived twists and lame action scenes, robbing it of any real tension. It's not surprising that the second season was cancelled. The Sopranos was very well done but it became too repetitive after a while and the characters didn't really develop for me, apart from generally getting more dislikable over time. Overall I found the whole series hopeless and depressing, nobody seemed to ever make any significant changes or escape from their situation. The Tunnel is a remake of the Danish/Swedish thriller The Bridge but based around the Channel Tunnel and French/English police cooperation. It started out really well but fell apart in the last third as the characters became caricatures (psycho genius villain, emotionally overblown hero) and the plot contrivances became steadily more ludicrous.